1. In a cocktail shaker add basil leaves and cucumber dials. 2. Add lime juice and muddle contents. Then add honey syrup and gin. 3. Add fresh ice and shake contents vigorously. Before straining contents. 4. 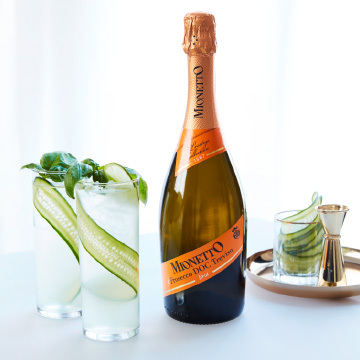 Add 4oz of Mionetto Brut Prosecco. Strain into a highball or Martini glass.